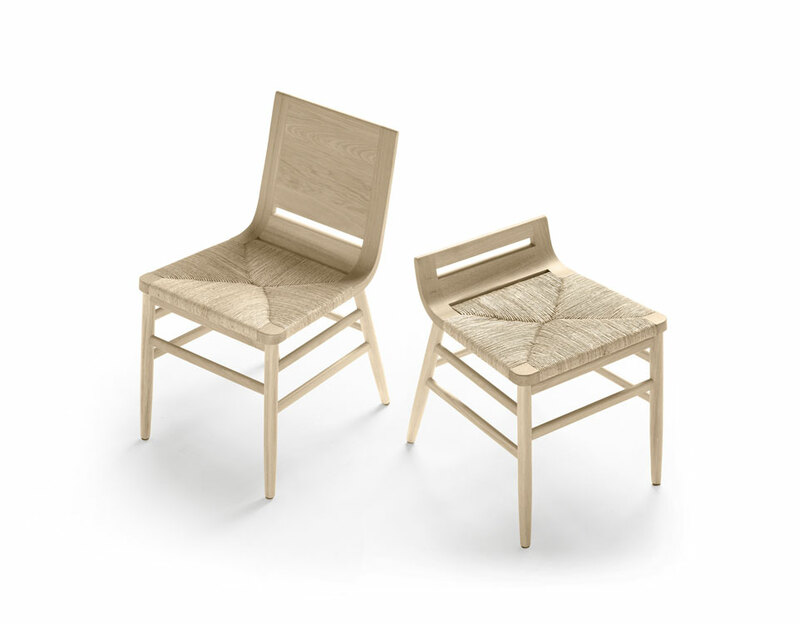 The KIMUA range comprises chairs, tables, benches and stools. It is marked by emotion and is deeply rooted in the tradition of working with straw. KIMUA is a gesture oriented towards memory. It is an updated re-interpretation of the traditional straw chair. The seat of the chair is woven by hand using straw that has not undergone any kind of treatment. This light, delicate chair takes over from the traditional chairs that were made before our collaboration began with the ALKI co-operative.